Basic SET-CAP-FENDER-001-B Weight 0.125 lbs. Premium SET-CAP-FENDER-001-P Weight 0.205 lbs. 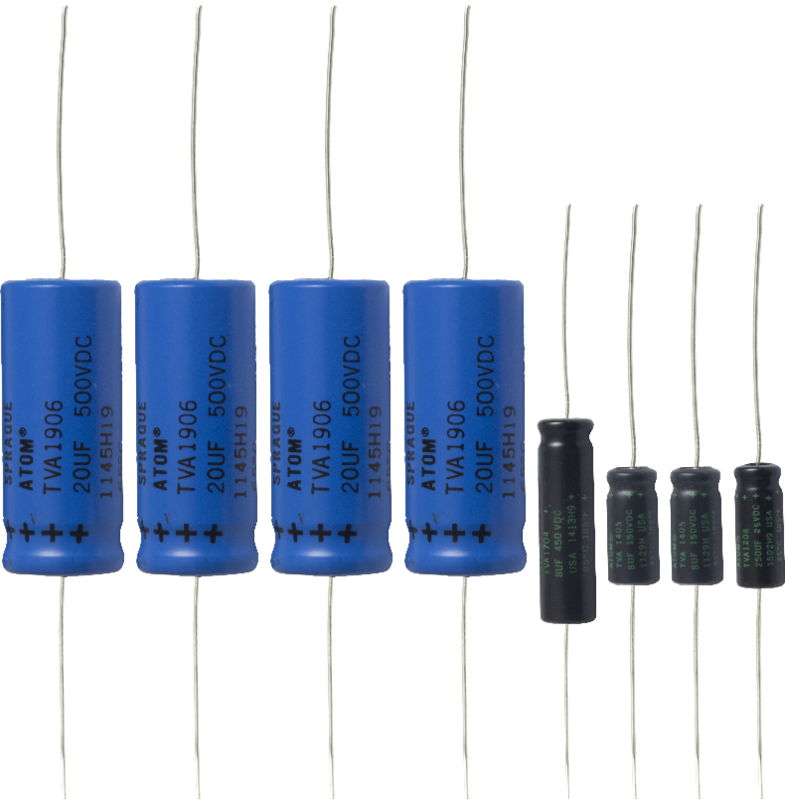 1 answers Hi, Is this the capacitor set for a Silverface Bassman 50 (Fender Musical Instruments)? Thanks! This is a cap set for a tweed Bassman 5F6A. 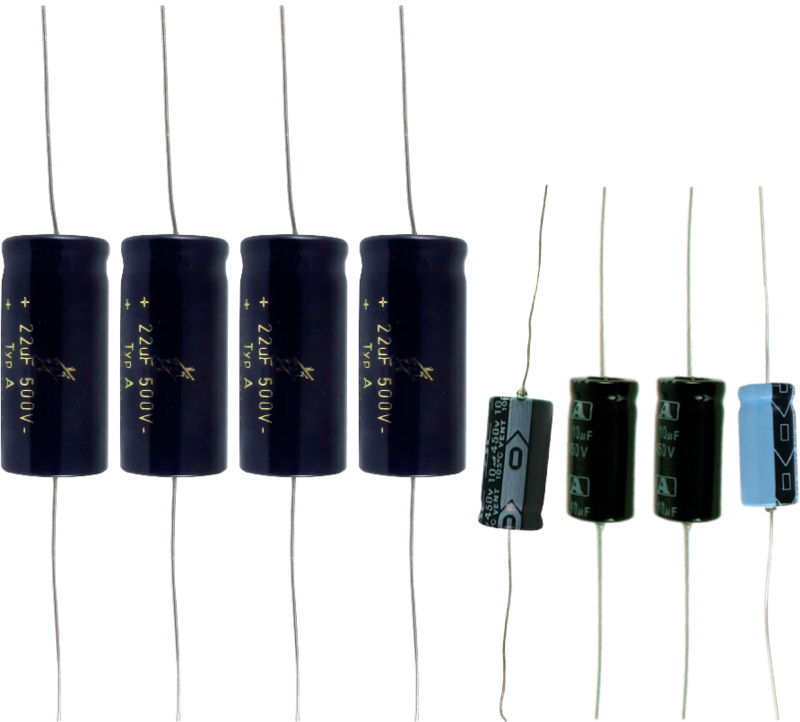 1 answers Is there generally considered to be a difference in tone creation between the premium caps and the standard, or is it more to do with temperature range, dependability, life expectancy and that sort of issue? I want to soup up my 70's Bassman Ten primarily for recording so I want the best tone I can get, but it won't get used much, so longevity is not an issue, only sound quality. The answer to this is subjective, but I wasn't able to hear a difference in tone between capacitors.